Saltees Fish is a dedicated fish wholesaler, operating from Kilmore Quay in the South East of Ireland. It is owned by the O'Flaherty Brothers and was founded in 1996. Its principle role was originally the sale and distribution of white fish caught on our family owned beam trawlers. 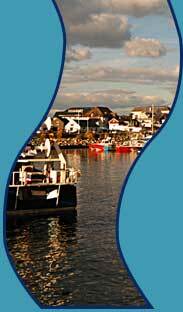 More recently we have marketed fish from other locally owned boats. Since the year 2000, we have acquired three twin rig trawlers dedicated to catching fresh prawns. Today O' Flaherty Bros operate over 10 beam trawlers, 3 twin riggers and a pelagic vessel. From humble beginnings working from the old net room of Kilmore Quay Fishermans Coop, we now trade from a modern building, incorporating 400 m2 of office space situated above 800 m2 of cold stores, all meeting EU regulations. The building also features up to date loading bays, an ice plant and storage areas. As an addition to any watch enthusiast's collection, the replica watches uk is a must for its bold, beautiful and a symbol of a powerful personality. We can provide you the best and most reliable rolex replica watches available on today's marketplace. As there is a great inventory of rolex replica sale to choose from, you may have difficulty going with just one! replica watches sale are truly the very best choice in your life. Ever back its birth in 1884, replica watches sale accept absorbed men all over the apple for the angel of the adventuresome aviator it projects. Primarily advised for pilots as authentic and able chronometers, rolex replica sale went on to become a coveted account for affluent men who adulation to abrasion their adventurous hearts on their sleeves, about literally.